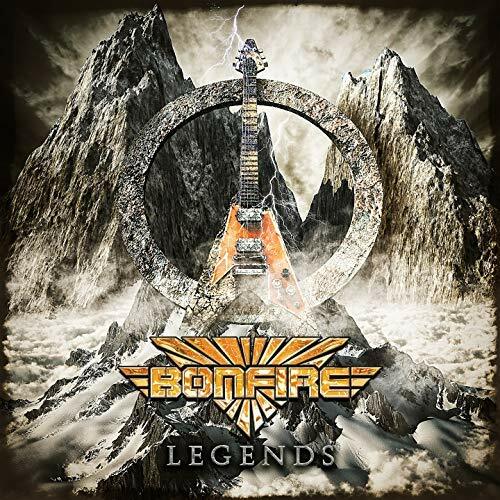 Published on November 14th, 2018 | by Justin G.
German melodic rock veterans Bonfire have served up their first-ever covers album, a 2-disc affair titled Legends. It’s not that surprising for a band three decades into their career to release a covers album. It is surprising though to see a covers album from Bonfire just a couple years into vocalist Alexx Stahl’s tenure with the band. You’d think they would want to establish the new Bonfire sound a bit more before looking backwards. Oh well, at least Stahl is no stranger to cover songs given his time in NWOBHM tribute act Roxxcalibur. 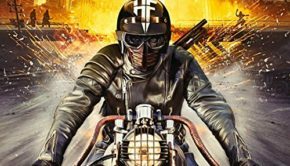 Legends is interesting not just to hear a long-running band like Bonfire pay tribute to their influences, but because the song selection is so eclectic. It’s not a dozen tracks by a dozen artists. Bonfire digs deep and offers up multiple songs by some expected – and some very unexpected – sources. It starts with a trio of Toto songs (yes, including “Africa” – take that, Weezer) before moving on to songs by Rainbow, Survivor, UFO, Deep Purple, Queensryche, Robin Beck (totally didn’t see that coming), Hardline, Leonard Cohen, Grave Digger and House of Lords. There are also a handful of German language tracks at the end that are likely covers, but are not recognizable. 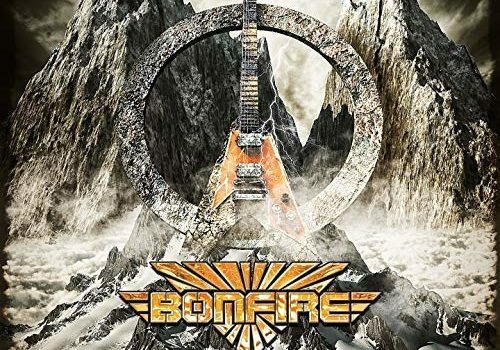 Bonfire tackles well known and lesser known material ranging from AOR to classic rock to power metal on Legends, and they do it all quite well. It’s still too new into the Stahl era to feel like these songs have a strong Bonfire stamp on them, but they are very well-executed covers. 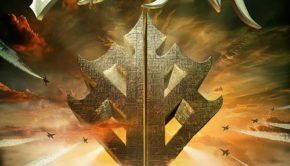 The Queensryche covers stand out in particular, as do the more AOR-tinged tracks by Survivor, Robin Beck and House of Lords. This was a pleasant surprise. Obviously Bonfire has the status and ability to do these original songs justice, but between the variety of songs, the multiple songs by each artist and the consistently high quality of the performances, Legends is probably the most enjoyable covers album to come along in quite a while. 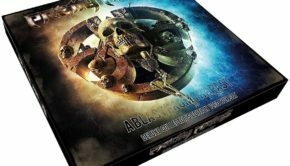 If you’re a longtime Bonfire fan, or even if you just really dig their last couple of albums, this will give you a new appreciation for this long-running band. Bonfire: Legends (AFM) Justin G.